Kin he see dat in da mirror? Invisible leis are most useful when avoiding clashing with improbably patterned shirts. In this case, I believe a visible lei would have been moderately acceptable, or at least unlikely to attract the immediate attention of the fashion police! Personally, I'd prefer a visible lei and invisible shirt. Whaddya think? 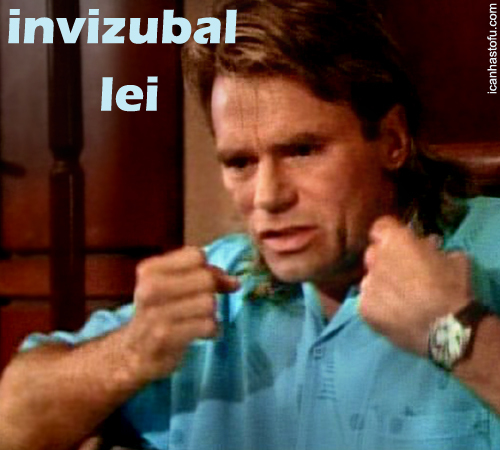 Lei on, MacGyver! As the bard almost said! I dunno. He seems a little bit, judging from the horridness of that shirt, waaaay overdressed for that sort of event! At least that's easily solved!